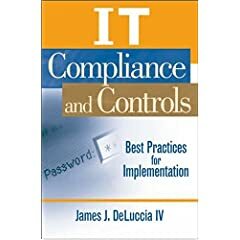 A security program and it’s controls are a hypothesis put in place and evaluated within an organization based on a set of assumptions and expected value. This is a critical success factor in an information security compliance program. The concept of testing the viability of a hypothesis is not new and one that is commonly missing within organization’s security compliance programs. Consider all the areas within the business where testing of hypothesis exists and the result are fed back into the development process. In some cases products may be dreamed-up; prototyped; tested; iterated, and perhaps shelved or launched. Software development (SDL) includes developing code, testing it against use cases, and continually evaluating it against performance requirements, customer acceptance criteria, security!! requirements, and of course regulatory considerations. Organizations are not lacking in the ability of scientific method, metrics, performance testing, or hypotheses. The opportunity lies in establishing proper use cases as they relate to information security compliance, and rigorously challenging and tracking these policies, practices, and procedures against the real life result of such a deployment. Identify why such policies, practices, and controls are deployed. Determine the root cause these are solving. Measure that performance against the metric. Is the the performance conforming to objectives. Are the metrics appropriate for reaching the conclusion sought by the root cause and technology information available. The thoughts here are based on personal experience building and designing global security programs. Some elements described may need customization in approach and process based on your own organization’s structure.